I have spent the last few months on a major national change project. It has been at times tough and at other times hugely rewarding. The real impact of business change on people can be both joyful with new and fresh opportunities and painful with feelings of uncertainty and anxiety. But, all in all the past few months has taught me something very consistent when it comes to change. CONTROL is critical. Being in control and making choices is the usual way we plod about our careers and working lives. If a great opportunity comes up at work, we can throw out hat into the ring and give it a shot. If during our performance reviews with our managers we signify that we are ready for more – we can work on a plan to get there. Even – if we have had enough of where we are at or if we see a juicy exciting new opportunity elsewhere – we can apply and give it a go. All of the above relates to our control of the situation and the choices we can and often make. 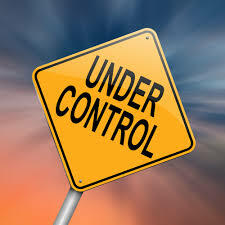 Now when a business implements change this control is taken away from employees. It is firmly in the hands of our employer. It is governed by process, by consultation, decision, meetings, change decks and packs, presentations and q’s and a’s. We become part of the choices made by the business and not always by us. Sure, there is a positive. 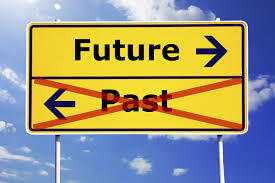 In many circumstances new opportunities result from a business change. In these circumstances we can and should make some new decisions and choices. I guess what I have learnt when bringing people through change is that we must appreciate that the lack of choice or the speed with which choices need to be made can really shake people to their core. At the ugly end, the outplacement end, control can and does return. I have witnessed the relief on faces when people know where they are at and have a sense of what they will do next. That control starts to ooze back. Even if at the start it is the small simple choices like what will my new CV look like or who would I like to target as my next employer. These may be little incremental steps but at least they are the choices of the individual. Now I am not and never would knock business change. All I am saying is that to really coach, guide, support and help folk along their change journey – just remember that it may be for some, the first time they have not been in control of their career. I have seen some amazing leaders help their people. I have seen some amazing employees build resilience. I have seen the eyes light back up again when control is reestablished. The nicest most rewarding things I have experienced these past few months involve the end of the change curve when people make a choice, move on and start something new. To help people through that is very humbling. In the modern world we all need to embrace change and embrace ambiguity. But lets not forget that, for most of us, we do like to make our own choices. Good Change Management is about helping people come back to the place where they can and do make choices for themselves. 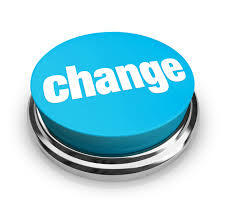 Good Change Management is good for the business and more often than not for the individual too. Change is exciting, but for most scary. Never underestimate the sharp end – it makes us all better leaders and better people when we spend the time to coach, guide and support people through change. Change is inevitable. Control is comfortable. Together the two can often collide. Previous Post#Getin for the Cancer Society – support our www.pledgeme.co.nz campaignNext PostIt’s a privilege to be a purveyor of people – #recruitment is an honour.